Death was just the beginning... 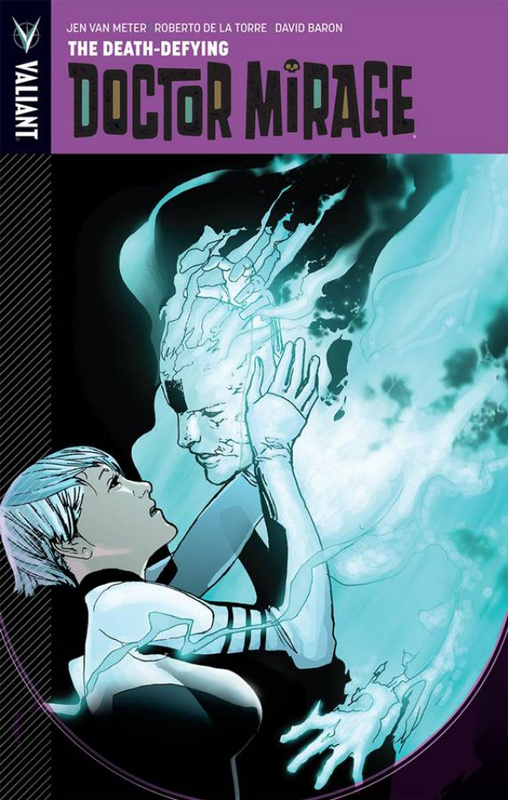 Doctor Mirage talks to the dead...but the only spirit Shan Fong can't fi nd is that of her late husband, Hwen. Instead, America's favorite semi-retired paranormal investigator is haunted and raw, using her gift to solve homicides and bring peace to the recently bereaved. But when a big-time occultist with a classified military past hires her for a special job, Shan discovers a lead that might close the greatest mystery she's ever tackled - how to get Hwen back! Now, Doctor Mirage must enter the undiscovered country and cross all the realms of the underworld if she has any hope of rescuing the man she loves... or be forever lost beyond the earthly plane. Join Eisner Award-nominated writer Jen Van Meter (Hopeless Savages, Captain Marvel) and acclaimed artist Roberto de la Torre (Daredevil, Age of Apocalypse) as Valiant's occult adventurer embarks on a journey across the realms of the dead to bring her love back to the land of the living. Collecting THE DEATH-DEFYING DR. MIRAGE #1-5.